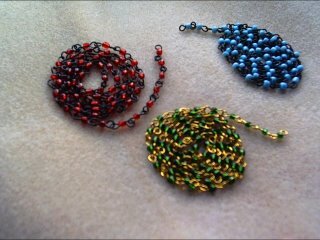 Shaiha's Ramblings: Beaded Chain Oh Ya!! I love the look of beaded chain but I am a skin flint and just don't want to pay the prices. And making it... I just don't have the patience. But this month Skye over at Creative Chaos is giving away some that she made. But what she gives you some options! Just click here to read all about it!